There is a consensus that the US should substantially raise its level of infrastructure investment. Economists and politicians of all persuasions recognise that this can create quality jobs and provide economic stimulus without posing the risks of easy-money policies in the short run. They also see that such investment can expand the economy’s capacity in the medium term and mitigate the huge maintenance burden we would otherwise pass on to the next generation. The case for infrastructure investment has been strong for a long time, but it gets stronger with each passing year, as government borrowing costs decline and ongoing neglect raises the return on incremental spending increases. As it becomes clearer that growth will not return to pre-financial-crisis levels on its own, the urgency of policy action rises. Just as the infrastructure failure at Chernobyl was a sign of malaise in the Soviet Union’s last years, profound questions about America’s future are raised by collapsing bridges, children losing IQ points because of lead in water and an air traffic control system that does not use GPS technology. The issue now is not whether the US should invest more in infrastructure but what the policy framework should be. There are five key questions. How much more do we need to invest? For the foreseeable future, there is no danger that the US will overinvest in infrastructure. An increase in investment of 1 per cent of gross domestic product over a decade would total $2.2tn and permit substantial steps both to catch up on deferred maintenance and embark on new projects. What is the highest priority? The fastest, highest and safest returns are likely to be found where maintenance has been deferred. Maintenance outlays do not require extensive planning or regulatory approvals, so they can take place quickly. And they tend naturally to take place in areas where infrastructure is most heavily used. How should investment be financed? There is a compelling case that infrastructure investments pay for themselves by expanding the economy and increasing the tax base. The McKinsey Global Institute has estimated a 20 per cent rate of return on such investments. If the return is only 6 per cent and the government collects about 25 cents on every dollar of GDP, it will earn 1.5 per cent on investments. This far exceeds the real cost of borrowing even over a horizon of 30 years. Debt financing of new infrastructure investment would be entirely reasonable. And if there is a desire to generate revenue to finance infrastructure investments, the best approaches would involve user fees. Thus, increased landing fees could help finance airports; tolls or taxes on miles driven could fund road improvements. What about the private sector? Some infrastructure priorities, such as replacing coal-fired power plants with renewables, expanding broadband networks or building pipelines, are clearly the responsibility of the private sector. Policy frameworks that streamline regulatory decision-making and reduce uncertainty could spur investment in these sectors. There is a case for experimenting with mobilising private capital for use on infrastructure that has been a public-sector preserve, such as airports and roads. But, the reality that government borrowing costs are much lower than the returns demanded by private-sector infrastructure investors should lead to caution. It would be unfortunate if, in an effort to avoid deficits, large subsidies were given to private financial operators. Only when private-sector performance in building and operating infrastructure is likely to be better than what the public sector can do is there a compelling argument for privatisation. How can we be sure investment is carried out efficiently? There is legitimate scepticism about this, and there is no silver bullet for this problem. Transparency of the type adopted for the Obama administration’s fiscal stimulus should become the norm. Additionally, progressive advocates of more investment should compromise with conservative sceptics and, in the context of increased spending, accept regulatory streamlining, as well as requirements that projects undergo cost-benefit analysis. Minimising cost should be the objective of infrastructure procurement. Every year that we allow our infrastructure to decay raises the burden that our generation places on the next. We will not always be able to borrow for the long term at a near zero interest rate. However the election turns out, a major infrastructure investment programme should be adopted by the president and Congress in the spring of 2017. 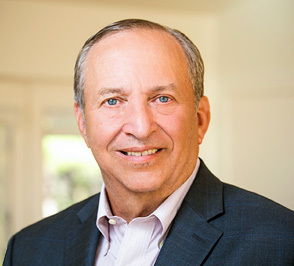 Lawrence H. Summers is the Charles W. Eliot University Professor and President Emeritus at Harvard University. He served as the 71st Secretary of the Treasury for President Clinton and the Director of the National Economic Council for President Obama.